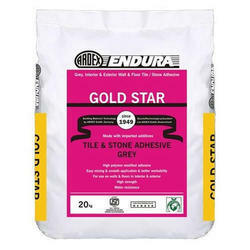 Prominent & Leading Manufacturer from Mumbai, we offer mambe cta ceramic tile adhesive, mambe mapox epoxy tile grout, ardex endura gold star tile adhesive and myk ceramic tile adhesive. A single component, ready to use product. Only water to be added. 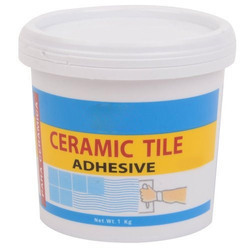 For fixing ceramic tiles on wall & floor. A stain free, hygenic, high strength, non sagging & chemical resistant 3 component epoxy grout specially designed for grouting ceramic tile, vitrified tiles, mosaics, marble, granite & natural stones on floor & wall for interior, exterior & wet areas. Grey, high polymer modified, cement-based wall and floor tile adhesive. 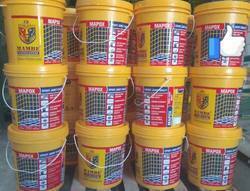 Suitable for fixing tiles and natural stones in interior and exterior situations, including swimming pools. 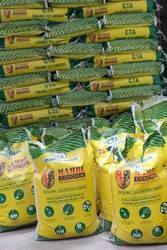 Coverage will depend on the nature and flatness of the surfaces and the method of application. For good coverage, it is vitally important that all surfaces should be clean, smooth, plumb, level and free from defects and undulations. Gold Star has a shelf life of 12 months when stored in normal dry conditions. We offer MYK Ceramic Tile Adhesive.